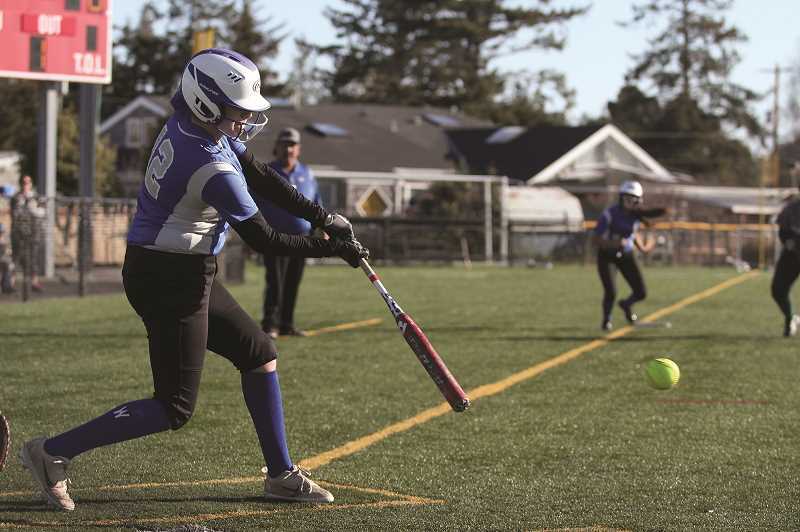 Despite being located just a few miles from each other along Boones Ferry Road, the Woodburn and North Marion softball teams made the trip Seaside over the weekend to take part in the annual Seaside Tournament to wrap up spring break. And while the Bulldogs left the coastal tourist city without a victory, the team returned to Marion County with plenty of positive memories and important lessons to draw from as the team moves in to the bulk of its conference schedule this month. 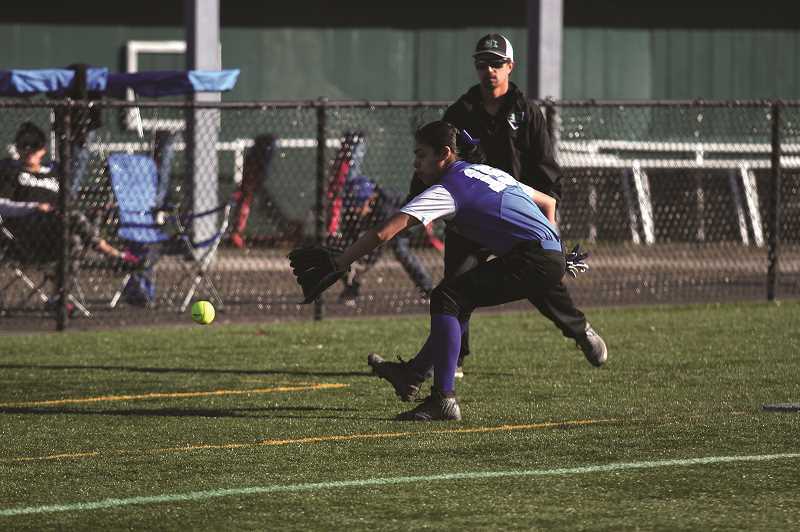 "It's a fun tournament," said Woodburn head coach Levi Arias, who was an assistant for the Bulldogs the last time the softball team took part in the event in 2016. "I remember that experience, so I wanted these girls to have the same kind of experience. They're having a ball." But the tournament also served as an important teaching tool for the Bulldogs, who are seeking to pick up their first victory of the season in the program's return to league play this year. 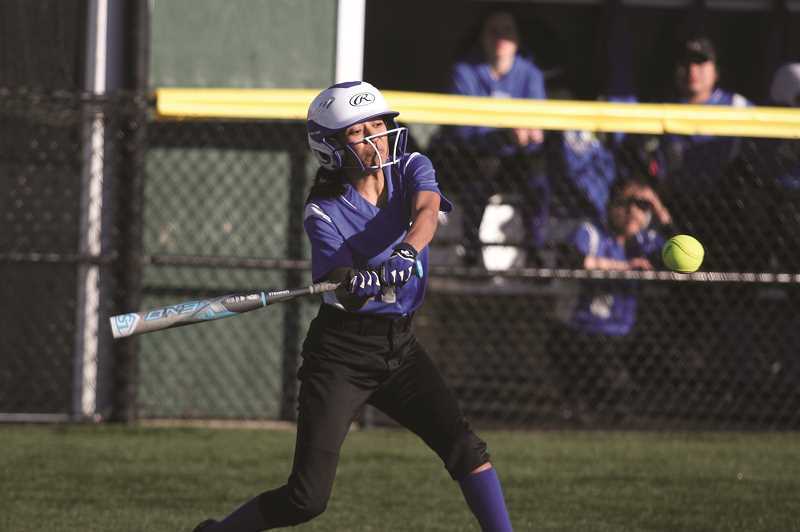 While Woodburn lost all three games — 17-7 to Molalla on Friday followed by losses of 18-3 to North Marion and 12-1 to Seaside on Saturday — Arias was impressed by the team's aggression on offense. "We've been working a lot in practices to get these girls to swing the bat," Arias said. "If you're going to go down, I'd rather you go down swinging rather than staying still and watching the ball go by. I can live with that much better." While some of the team's senior veterans like Jasmine Navarro, Alexis Jacobucci and Jordan Mann don't need to be asked twice to challenge opposing pitchers, many of the team's new and incoming players lack that instinct, and Arias is working with them during the preseason to develop those skills to face down the opponent on the mound. "We're trying to get them out of being intimidated," Arias said. "They're hard pitchers, (but) we're making contact. We're seeing the difference in hitting the ball." Other times, the pendulum swings too far the other way and the Woodburn coaching staff must reign in the aggression just a bit. Such was the case in the second inning against North Marion when sophomore Eliana Arechiga hit an RBI-double to cut the Huskies' lead to 2-1. But instead of staying safely on second base, Arechiga attempted to pull out an extra bag and was thrown out at third base. A similar play happened again in the fourth inning with the Huskies up 18-1 that cost the Bulldogs an opportunity to put a runner in scoring position. While Arias likes to see that kind of mentality in his players, preferring to see them registering outs on the basepaths than in the batter's box, he said it needs to come with a bit more caution. "We're getting more outs being thrown out because we're trying to get one extra base instead of being held to the base we should be held," Arias said. "They want to be aggressive and get that one extra base." Woodburn (0-7, 0-2 Oregon West Conference) returns to league play this week at home against Newport (4-3, 1-1) on Wednesday, followed by a trip to Cascade (6-3, 1-1) on Friday to begin four consecutive games on the road.